“Here they come!,” shouts sounded from inside the bus, and from outside, tykes wielding half-bottles of green paint shrieked student names. “Сюда, Милли!” “Кэйла, ты со мной! Пойдём!” “Этикэс! Я тебя вижу! Мы красим, воттут!” By their third visit to the Приют, a children’s home in Daugavpils, Latvia, each of the NSLI-Y students had been adopted by different children, and were being claimed and often pulled to their places. During an initial tour on the first visit, the NSLI-Y students were subdued. Some were teary as they learned about the children in the home and saw their bedrooms and group areas. But the tears disappeared, and any expectations of gentle orphans were dispelled once the children started teaching their visitors how to play Novus, a billiards-style game. “These kids are good!,” remarked one NSLI-Yan. “Cutthroat,” said another. The children’s home is neat, reasonably well-supplied, and caregivers there develop close relationships, made obvious when a child nestles close to a caregiver for a hug. 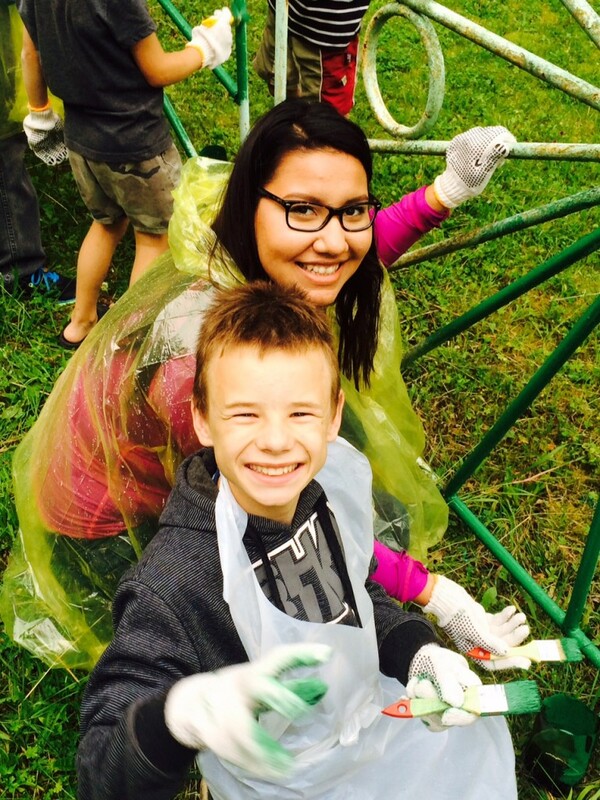 Three afternoon visits by the NSLI-Y students to the home involved games, group art activities, face-painting, and fence-painting. After a few visits to the home, the students began to wonder whether children’s homes might be equally good or better than foster homes in the U.S. 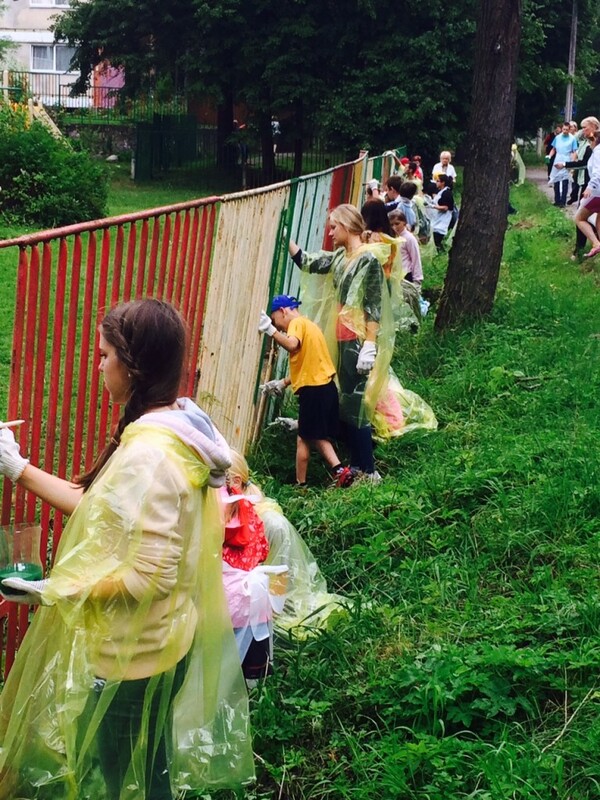 The Daugavpils children’s home has sponsors who arrange summer visits to other countries including the U.S. The older children have computers and cell phones. They are encouraged to enter higher education, and allowed to stay in the home until 24 years of age if still studying. 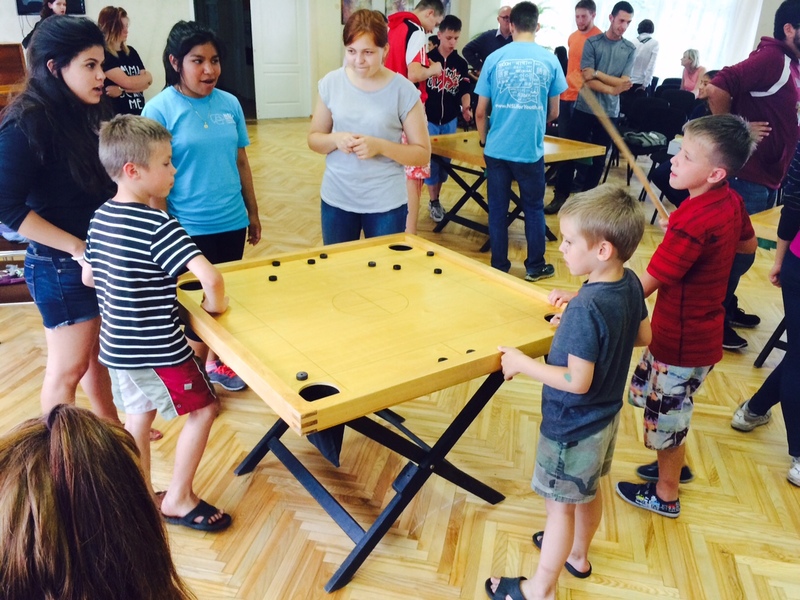 Students in this NSLI-Y summer’s intensive Russian language program frequently comment that visits to the children’s home have been their most rewarding service activities. Watch a special moment from the student’s visit below.